If you prefer your evening locations to be at the plush end of the market, and fancy a drink in trendy locations with modern décor and a hint of background music, allowing you to enjoy a conversation without shouting, then try out these city centre spots. A swanky bar that offers an award winning interior to the population of Newcastle, Barluga compliments the grand façade that is Grey Street. 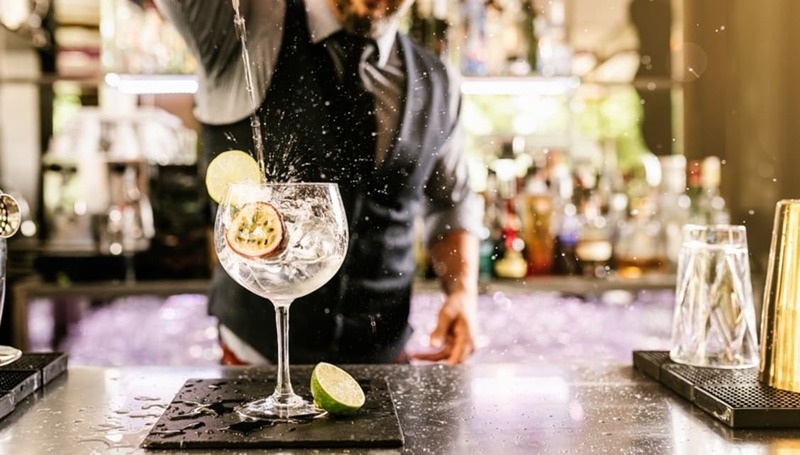 One of the city’s most recognisable locations, Grey Street is right in the heart of central Newcastle, and whether you’re wanting to kick off your evening in style, or sit back for the evening with a drink in hand, Barluga is an ideal destination. If you’ve got a weekend planned in Newcastle, make sure this award winning and hugely popular bar is one of your stops. Self-described as falling between a New York bar and an Italian coffee shop, Popolo provides a stylish environment for a drink, as well as offering a selection of food. Offering a range of great drinks and comforting food this bar is an equally amazing experience for a first date or an early drink to start a night out. Head to Popolo to enjoy a drink in the unique interior, which sets it apart from many other places in Newcastle. Situated in the somewhat secluded highest floor of Trinity Leeds, Angelica is a Restaurant that transforms into a classy cocktail destination when the evening hits. Accessible only by elevator, and exuding an exclusive feel, Angelica boasts a stunning cocktail bar, which takes centre stage as night time hits. The penthouse feel of Angelica allows customers to see the stunning Leeds skyline over sunset cocktails, and the outside terrace is buzzing with atmosphere on a Friday and Saturday evening. After getting the night underway at Angelica, we suggest you head all the way down to the lowest floor of Trinity for something a little different. The Botanist places emphasis on quirky design, rather than the plush feel provided by Angelica. The underground bar, which perches on the outer realm of Trinity shopping centre themes itself of natural elements. Incorporating herbs and vegetation in many of their drinks, the bar continues this theme in its décor, which includes earthy plants and wooden display shelving. If you’re a fan of an experimental cocktail then this trendy bar is the place for you, and has become one of Leeds’ favourite night time locations since its recent opening. If you’re after something a little different, try out this self-described ‘oasis of seduction’ in Manchester. Vermillion Cinnabar is a restaurant and bar rolled into one stunning location and provides the perfect start to your evening if you’re looking for a quality meal before retiring to somewhere swanky for a few drinks. Designed by Miguel Canico Martins, the guy behind Paris’ infamous Buddha Bar, the interior of this one of a kind location is something you won’t find anywhere else in Manchester. Decked out with Asian-themed décor and offering stylish cocoon seating, Cinnabar’s buzzing atmosphere is a hidden gem of Manchester and can be found just minutes from Piccadilly Station. From the name to the style of the website, you can immediately gauge that Manchester’s Apotheca bar is aiming to provide customers with a flashy and trendy destination for drinks. Since opening in the Northern Quarter in 2008, the bar has grown a reputation as one of the première hotspots in the city. Drinks choices are in abundance, and you certainly won’t be short on choice with Apotheca’s online drinks menu spilling over ten pages. With imported lagers, creative cocktails and an extensive wine list, all situated within a comfortable and stylish environment, it’s no surprise Apotheca has a portfolio of awards and quality reviews to boast.